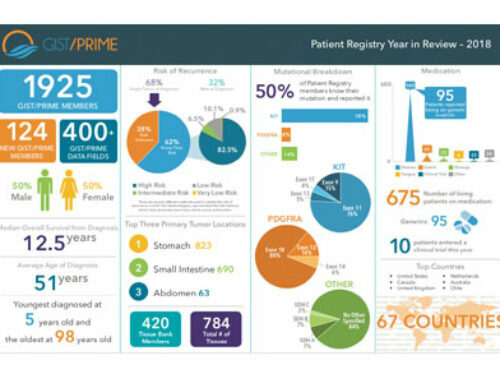 Over the past few years, The Life Raft Group has been strengthening its efforts in Latin America as it focuses on harnessing data to improve GIST patient outcomes. 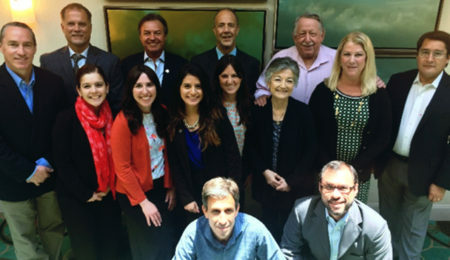 We have built strong relationships with GIST patient advocacy groups, who, in turn, have formed key connections with a network of physicians that treat many of the GIST patients in their respective countries. With a shared goal in mind, both patients and doctors see the need to improve the lives of GIST patients in the region. Many countries do not have access to the GIST therapies that are conversely approved and reimbursed in the US and Europe. It is important to understand the patient diagnostic and treatment journey to relay to health authorities the need for better access to life saving treatment. The outcome of this meeting was very exciting! We discussed the expansion of ongoing trials in Latin America as well as creating a regional database connected to the Life Raft Group. It is anticipated that our efforts will yield positive results by generating real world data as we look to improve patients’ lives and work toward a cure. We look forward to sharing more about these projects in the future.